New Delhi has made no secret of its interest in ties with Riyadh. When Prime Minister Narendra Modi won a resounding victory in the Indian general elections in 2014, leaders from around the world rushed to congratulate the new prime minister-elect of the world’s biggest democracy. In the Persian Gulf, however, the reaction was cautious. Egypt and Qatar were initially the only two countries from that region to congratulate Modi on his win. 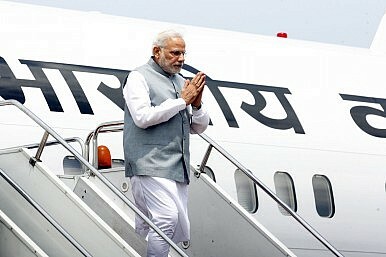 According to analysts in the region, Modi’s personal reputation among the public and polity alike in the Gulf has suffered because of the riots between Hindus and Muslims that took place in Gujarat while he was chief minister of the state in 2002. However, Modi’s meeting with Saudi Arabia’s sixth king, the late King Abdullah bin Abdulaziz Al Saud* on the sidelines of the G20 summit in Brisbane, Australia later in 2014 made clear that even if the members of the Gulf Cooperation Council (GCC) had reservations, India was too important to risk upsetting relations. A trip to Saudi Arabia next month will be Modi’s second visit to the Gulf after a previous stop in UAE. It comes at a turbulent time. The Syrian crisis, the war in Yemen, the rivalry between Iran and Saudi Arabia, which has helped depress global oil prices, are all events with direct implications for Indian interests. The India-Saudi relationship has historically been cordial, based on mutual needs and transactional interests. There are nearly 2.5 million Indians working in Saudi Arabia, and nearly 7 million working in the larger Gulf region. India also imports nearly 80 percent of all its oil, with much of it coming from Saudi Arabia. The two pivotal diplomatic events between Riyadh and New Delhi have taken place within the last decade or so, namely the Delhi declaration (2006) and the Riyadh declaration (2010). The former was a historic moment, as then King Abdullah bin Abdulaziz Al Saud became the first head of the House of Saud to visit India in 51 years. During his visit and following consultations with Indian Prime Minister Manmohan Singh and his administration, the two countries revisited ties to strengthen cooperation and engagement. More importantly, this visit also laid the groundwork for much greater security, intelligence sharing and counterterrorism cooperation. The new era of relations paid dividends with the 2012 deportation of Syed Zabiuddin Ansari aka Abu Jundal, a wanted name in India with links to the Indian Mujahideen and the Pakistan-based Lashkar-e-Toiba (LeT). Ansari was accused of masterminding the 2008 Mumbai attacks and the 2010 Pune bombing, and was believed to have aided in several other terror strikes across India. His delivery to India by Saudi Arabia caught many analysts off guard. The Delhi and Riyadh declarations clearly played important roles in bridge-building between the two countries. The inclusion of security and counterterrorism elements in bilateral ties is significant, particularly given the influence Riyadh can exert over Pakistan (Pakistan’s prime minister and army chief have visited Saudi days before Modi’s visit). However, Saudi Arabia is adapt at diplomatic ruses and plays on its core interests in a much brasher manner than India is perhaps used to. This will pose a challenge for Indian policies towards a more “East-looking” House of Saud, specifically if the question of addressing issues with Pakistan comes heavily into play. Still, the positive developments have continued. In December last year, the Saudis deported Mohammed Assadullah Khan (aka Abu Sufiyan), a terrorist with established links with LeT. Khan was arrested by Riyadh after Indian and Saudi security agencies shared intelligence. In February this year, Saudi Arabia also deported one Muhammad Abdul Aziz, known as the “godfather of the jihadist movement in Hyderabad.” Aziz was reportedly on the run for more than ten years. Meanwhile, the Indian Air Force for the first time in August last year made a staging visit to Saudi Arabia while on route to military exercises in the United Kingdom. This stopover was seen as highly symbolic for India-Saudi ties in the security sphere. At a recent speech in New Delhi, India’s Foreign Secretary S Jaishankar used the term “Think West” when describing India’s policy outreach towards the Gulf. It suggests a new push towards more concrete strategic policies for West Asia. This “Think West” approach may be very timely. Saudi Arabia, like its compatriots in the Gulf, is now actively looking east to develop its core interest, selling oil. As growth in Western economies slows and the U.S. becomes energy self-sufficient thanks to its shale revolution, the markets with the greatest thirst for Middle East’s oil lie in Asia, and are led by the likes of China, India, Japan and South Korea. This fact alone now warrants these economies taking a greater interest in the complicated and daunting task of understanding the Middle East in all its complexity. Meanwhile, Riyadh is increasingly interested in investing abroad. Saudi Aramco, the state’s national oil company is reportedly already mulling an investment in Indian refineries to boost its Asian footprint. Modi’s visit is aptly timed to pitch for a larger Saudi economic footprint and to make more space for Indian interests. When King Abdullah bin Abdulaziz died in January last year, New Delhi announced a day of mourning in his honor, signaling the emphasis India was placing on its ties with Saudi Arabia. The Saudi-India dynamic is a layered cake, with many levels of agreement and disagreement. Currently ties are headed in the right direction, and it now remains to be seen what kind of new push, if any, Modi himself can bring to this engagement. Kabir Taneja is a journalist and researcher specializing in foreign affairs, energy security and defence. China's inroads in Nepal mean increasing control over Buddhist heritage sites – with implications for Tibet.